Celebrating 60 Years of USY! This Sunday, September 18th, 2011, United Synagogue Youth, the Conservative Movement’s youth group began its sixtieth anniversary celebrations, by honoring its longterm director, Jules Gutin. Unfortunately, I was unable to make it to New Jersey to be a part of this wonderful tribute, but I will certainly be there in spirit. I know that I will not be the only one there in spirit because I am just one of the tens of thousands that has been impacted by Jules Gutin. As a USYer, and later as a staff member, Jules opened up an entryway to Judaism that I didn’t know existed. Jules, along with so many other USY staff members and peers, helped me fall in love with Judaism. Jules empowered me to learn, to do, to experience, and encouraged me to question. His influence also led me to become a rabbi. As he concludes his over twenty years as director, and goes on to new opportunities to shape the future of the Conservative Movement, we can truly honor Jules Gutin by ensuring the future success of USY! The Conservative Movement offers youth groups for students in grades 6-12 (USY and Kadima.) Additionally, at the Jacksonville Jewish Center, our Chalutzim youth group introduces our children to Jewish youth group experiences beginning in the fourth grade. From conventions, and shabbatonim, to USY on Wheels, USY Pilgrimage, and Nativ, United Synagogue Youth does a phenomenal job of giving our children positive Jewish experiences. Yet, only roughly 10% of Jewish teenagers affiliated with Conservative synagogues are members of USY or Kadima. The vast majority of teenagers affiliated with Conservative synagogues choose to not participate in USY or Camp Ramah. I too did not want to participate in USY. My parents encouraged me to get involved– maybe even initially forcing me to do so — and I was quickly hooked. It is out there and it is going to get you. When it does you will never know what hit you. You have no control over it. But it will take over your life. And you will LOVE EVERY SECOND OF IT. This “thing” that I am talking about that takes over all of our lives is U S Y. All you need is one moment, one experience, one little spark, and you are hooked. It may be losing your voice during a Ruach session, dancing for 15 minutes to a nigoon during Kabbalat Shabbat services. It may be experiencing Israel through the eyes of USY, be it floating in the Dead Sea with Pilgrimage or having a snowball fight in the Golan Heights on USY’s HeChalutzim Seminar. It may be davening at the Grand Canyon on USY on WHEELS, or it may be that the person who was sleeping above you in your bunk at your Freshman encampment is now your best friend. Any of these experiences could do it. And all of them did it for me. These are the reasons that so many of us were involved in USY. These are the reasons that we must ensure that our children are involved in USY as well. At the 2009 USY International Convention in Chicago, Jules Gutin challenged the USY delegation: “Most people focus on improving the quality of our programs,” he said. “Yet, if we do not increase our quantity, then quality will not really matter.” So get involved in USY, Kadima, and Chalutzim. Get your friends involved in these great programs. Make sure that your children participate. I guarantee that your children will thank you for pushing them to get involved. They will greatly benefit as a result of their USY experiences and the Conservative movement will be better off because of their involvement. Together we can make the future of the Conservative movement even brighter! Today marks the tenth anniversary of the September 11th terrorist attacks on New York, Washington, DC and Pennsylvania, killing almost 3000 people and sending our nation into disarray. The greatest tragedy in our nation’s history changed the way we live our lives. Our children do not know a world in which we have not been at war. Our children do not know a world without fear. We live in a world with heightened security at religious institutions and high traffic areas like train stations and airports. We live in a world in which profiling is a reality. We live in a world we still mourn the loss of 3000 innocent victims. We cannot ignore the impact that September 11th has on us as individuals, as a community, as a nation. For the children of the 21st century though, some don’t know what September 11th means. Many of our students said they learned about it in school for the first time. As part of the weekly Mitzvah trip that the Martin J. Gottlieb Day School Middle School students participate in every Friday, the students participated in HandsOn Jacksonville’s day of community service yesterday to commemorate September 11th. Together we hoped that through Gemilut Hasadim, Acts of Loving Kindness, we could make the world just a little bit better. One Middle School student who has no memory of 9/11 shared: “We help others in honor of those lives that we’ve lost so that they did not die in vain.” We repair the world. After all, President Obama declared that September 11th is not a day of mourning. September 11th is a National Day of Service and Remembrance. So let us remember. Let us teach our children about September 11th, but let us also teach them about love, unity, and peace. Let us also remember that we honor those lost by participating in service, taking an active role in this world, shaping the world. This is a great opportunity to get involved in our SAC, our Social Action Community, or many of the important organizations that does such incredible work in this world. We honor those who have fallen by striving to make this world a better place. When we recite the traditional words of the El Maleh Rachamim, the Memorial prayer, we say etein tzedakah b’ad hazkarat nishmato, we promise to give tzedakah, to do good deeds, mitzvot, as a way of honoring the souls of the deceased. So too on this September 11th, may we all live life, and honor the souls of the deceased by celebrating life – and by committing to service and making this world a better place. 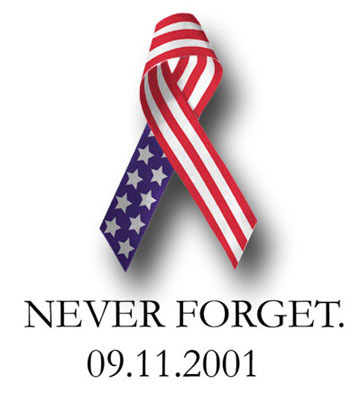 May the memory of all those who perished on September 11th be for a blessing always. All children have a funny feeling this time of year. While parents are beginning to spiritually prepare for the High Holy Days, children have a knot in their stomachs. Part of that is a result of not being ready to return to school, but I suspect most of that feeling comes from residual disappointment that the summer is over. Some of our greatest life experiences take place over the summer, and many of our most influential and meaningful Jewish experiences take place at summer camp. Whether children spent their summers at our very own Camp Ki Tov, Camp Ramah Darom, or one of the many other Jewish summer camps, the feelings are the same. Camp is about fun and experiential learning. Camp is about enduring Jewish memories. Camp brings Judaism to life, turning every single moment — from swimming, to basketball, to arts and crafts — into Jewish moments. You have a special bond with your camp friends. You may only see them from summer to summer, but when you see each other, it has if nothing has changed. They are your kehillah kedoshah, your sacred community. Camp also has a profound impact on who we become as individuals and as Jews. The Foundation for Jewish Camp’s recent study, Camp Works, suggests that Jewish summer camp attendance increases the likelihood of adult participation and identification. In the study, those who attended Jewish camp were more likely to donate to a Jewish charity, light Shabbat candles, attend synagogue regularly, and be emotionally attached to Israel. 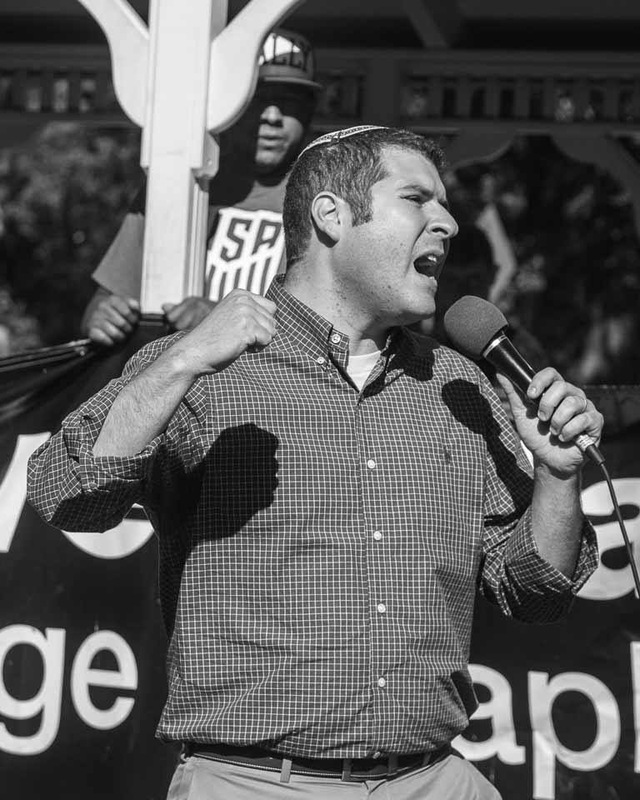 I am sure many are active and involved in the Center and in the Jewish community because of the profound impact that Jewish camp had on your life. So as our children return home teary eyed and tired at the end of the summer, we hug them and tell them to get excited for next summer. The irony of the unique community that camp offers is that it is limited to the summer. Most suggest that camp wouldn’t work as a year-round experience, that what makes camp so special is that it is limited to only the summer. Campers yearn for a return to camp during the winter. If camp lasted year-round, then campers wouldn’t count down the seconds until camp returns, or stay in touch with bunkmates via phone, email, and Facebook. During our transition to Jacksonville and the Jacksonville Jewish Center, my wife and I have been welcomed with open arms. So many friends and family members — and synagogue members — asked us what it was about the Jacksonville Jewish Center that spoke to us. The Jacksonville Jewish Center is such a special community that those “camp moments” that many long for are felt at the Center year-round. Amazing formal, informal, and experiential learning opportunities are offered at the Center for both young and old. There is swimming in the pool after Shabbat services and softball on Sunday mornings after minyan. This sure seems like camp to me! More specifically though, those meaningful and influential Jewish experiences also take place here. The warmth of community, the festive meals, the Shabbat hugs and kisses all take place here. We are lucky enough to not have to wait for the summer for those amazing experiences or for that incredible community. While others have to wait until summer 2012, we can simply come to the Center! Stop Pressing the Snooze Button! Ever since I was a child, I loved to press the snooze button on my alarm clock. Some would prefer to sleep in and not have their alarm go off at all. I, on the other hand, enjoy having my alarm go off. Every time it goes off, and every additional time I press the snooze button is a reminder of the five extra minutes that I get to sleep in. To this day, I’ll set my alarm clock for a half hour before I intend to wake up in the morning, just so I can spend a considerable amount of time pressing the snooze button. While I enjoy this morning routine, my wife surely doesn’t appreciate it! As we celebrated Rosh Chodesh this past week and began the month of Elul, we also began the period of time called the Yamim Noraim, the Days of Awe and Reflection, leading up to the High Holy Days. Every morning and every evening during the Yamim Noraim we recite the words of Psalm 27. We conclude this Psalm with phrase, kaveh El Adonai, hazak v’ametz libecha, kaveh El Adonai, Hope in God, be strong, let your heart take courage, and hope in God. In addition to saying this Psalm for the season, we blow the shofar every morning. We traditionally connect the blowing of the shofar with the blasts of Rosh Hashanah, yet we spend the entire month of Elul (with the exception of Shabbat) blowing the Shofar. With that first Shofar blast, the alarm goes off. We may (as I love to do every morning) press the snooze button, but the blasts of the ram horn continue to be heard morning after morning. We can continue to snooze, ignore the wake up call, and then feel rushed and unprepared as Rosh Hashanah approaches — or we can wake up! We can spiritually wake up! Let the blasts of the shofar awaken the depths of our souls. May the shofar blasts shatter our complacency and allow us to say Hineni, Here I Am! May we take advantage of this wake up call, of this season of repentance and self-reflection, so that we strive to be better people — and strive to make this world a better place — in the year ahead.